A new series of diorganotin(IV) complexes of 4-((2-hydroxybenzylidene)amino)-[1,1′-biphenyl]-3-ol (H2L1), 4-((2-hydroxy-5-nitrobenzylidene)amino)-[1,1′-biphenyl]-3-ol (H2L2), 4-((3-bromo-2-hydroxy-5-nitrobenzylidene)amino)-[1,1′-biphenyl]-3-ol (H2L3) and 4-((3,5-dibromo-2-hydroxybenzylidene)amino)-[1,1′-biphenyl]-3-ol (H2L4) Schiff base ligands with general formula R2SnL (where R = Me, Et, Bu and Ph) were synthesized. Structural aspect of these synthesized compounds have been described with the help of elemental analysis and spectroscopic techniques like FT-IR, UV–Vis, NMR, Mass and fluorescence. Schiff bases coordinated to tin metal as dibasic tridentate ligand through imine nitrogen and two phenolic oxygen atoms forming pentacoordinated complexes. Metal complexes gave low molar conductance value describing their non-electrolytic nature. Thermal decomposition of the complexes resulted in the formation of SnO2 as end product. The in vitro antimicrobial activities have been evaluated against Gram positive bacteria, Gram-negative bacteria and two fungal strains. The screening evaluation showed that organotin(IV) complexes have better antimicrobial activity. The free radical scavenging ability of the compounds was invest by in vitro antioxidant assay involving DPPH radical and was found to be moderately good. The anti-inflammatory activity was done by egg albumin method and percentage inhibition of protein denaturation was calculated. By comparing the biological activities of the synthesized compounds it was found that metal complexes were more potent than the free ligands and compounds 16, 20 were having more potential as drugs. 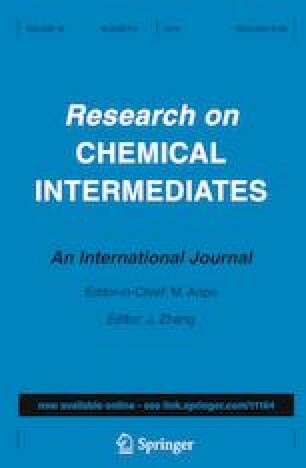 The online version of this article ( https://doi.org/10.1007/s11164-019-03830-3) contains supplementary material, which is available to authorized users. One of the author Ms. Jyoti Yadav is highly thankful to the HSCST Panchkula for the financial support and also thankful to A. P. J. Abdul Kalam Central Instrumentation Laboratory GJUS&T, Hisar for carrying the spectral data and Department of Chemistry, GJUS&T, Hisar for financial support in the form of research project.